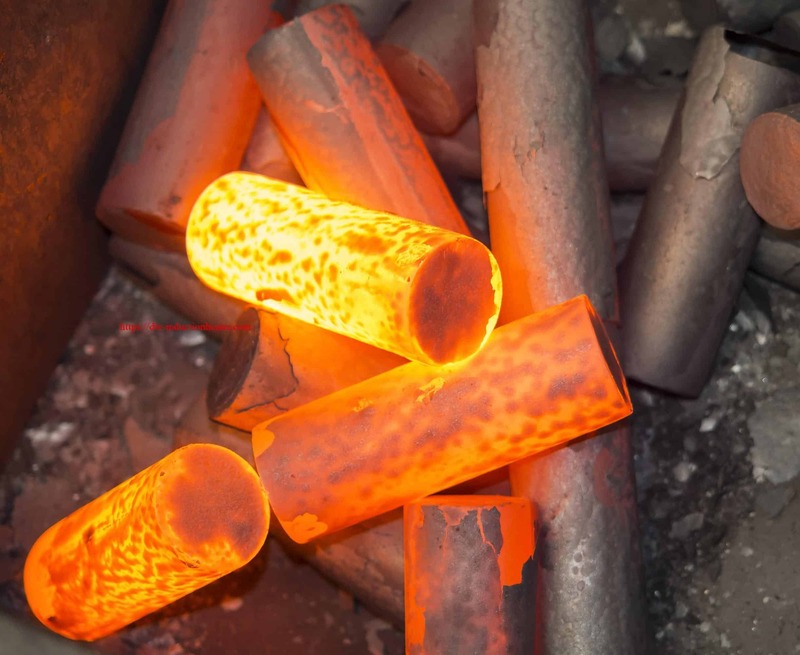 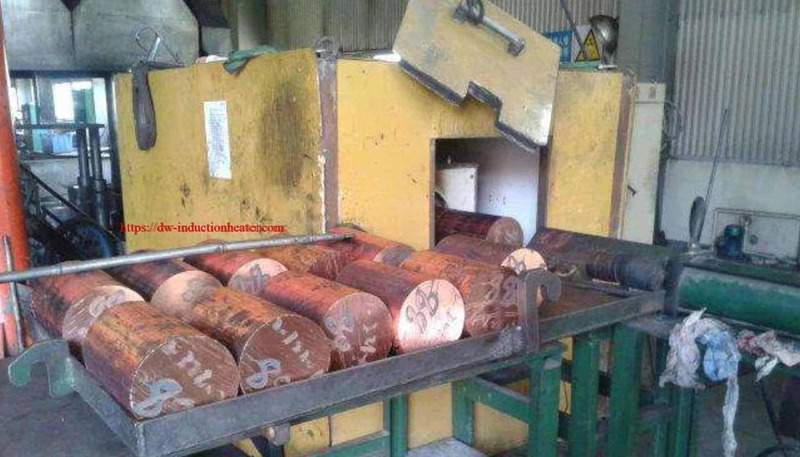 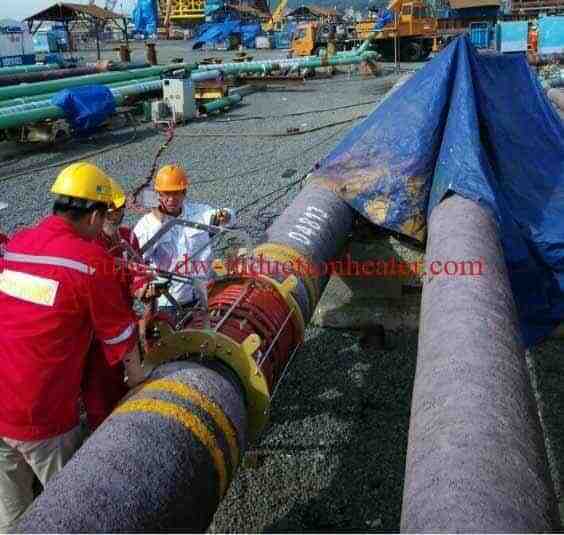 Objective To preheat a steel pipe to 500ºF (260ºC) before welding. Material Steel shaft assembly 5” to 8” OD (127-203.2mm) with a 2” (50.8mm) heat zone. 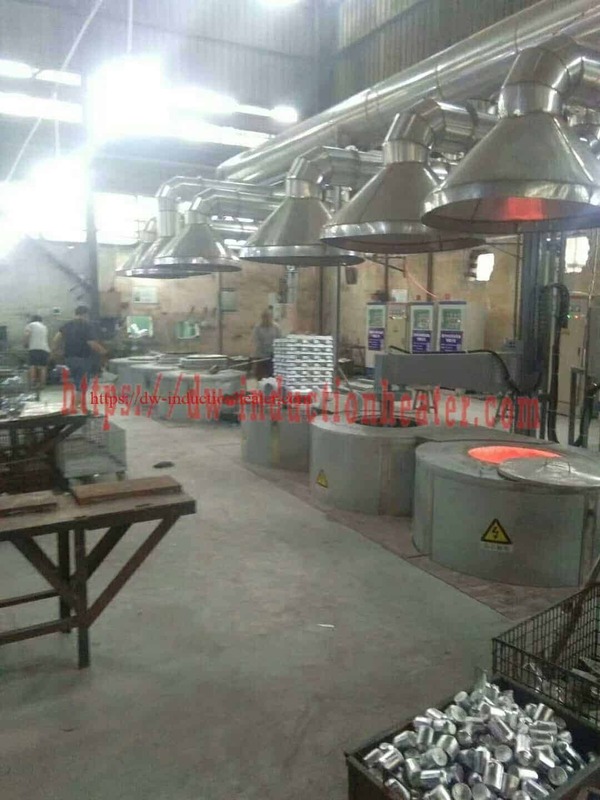 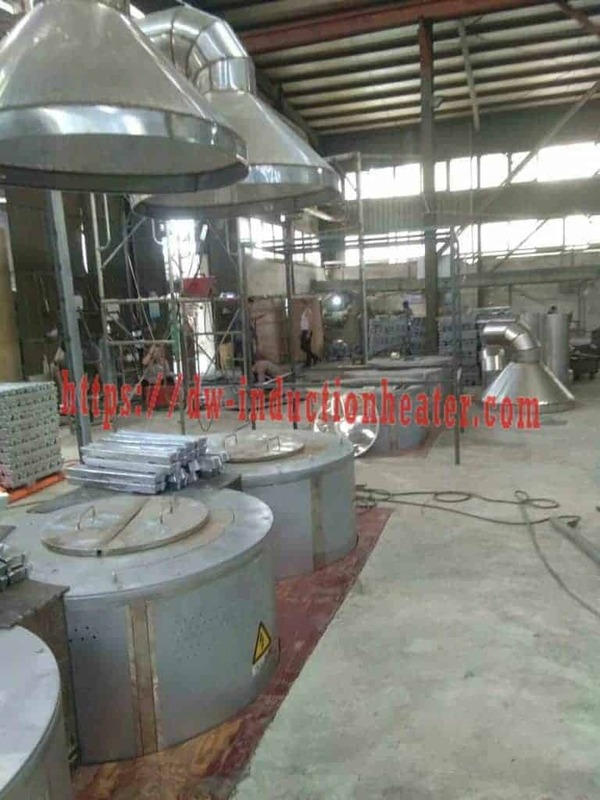 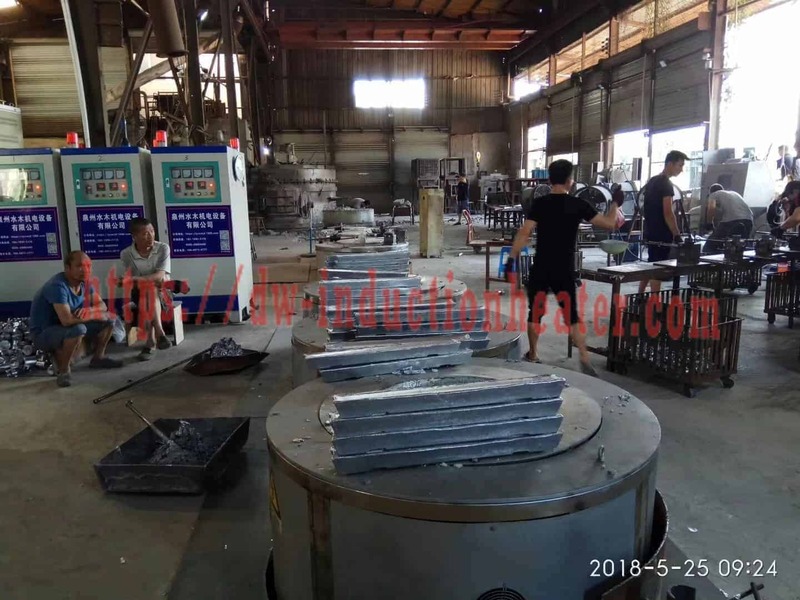 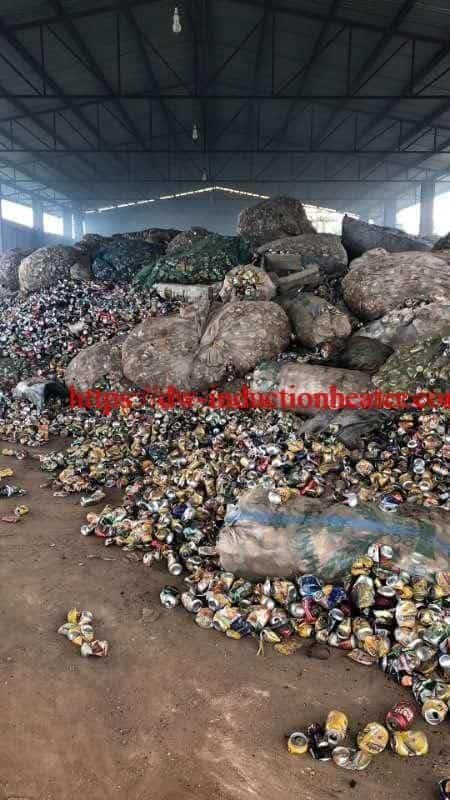 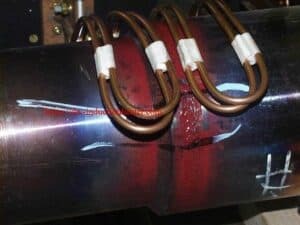  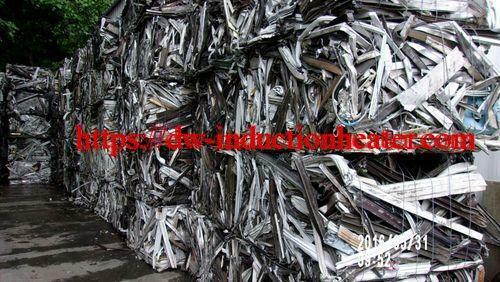 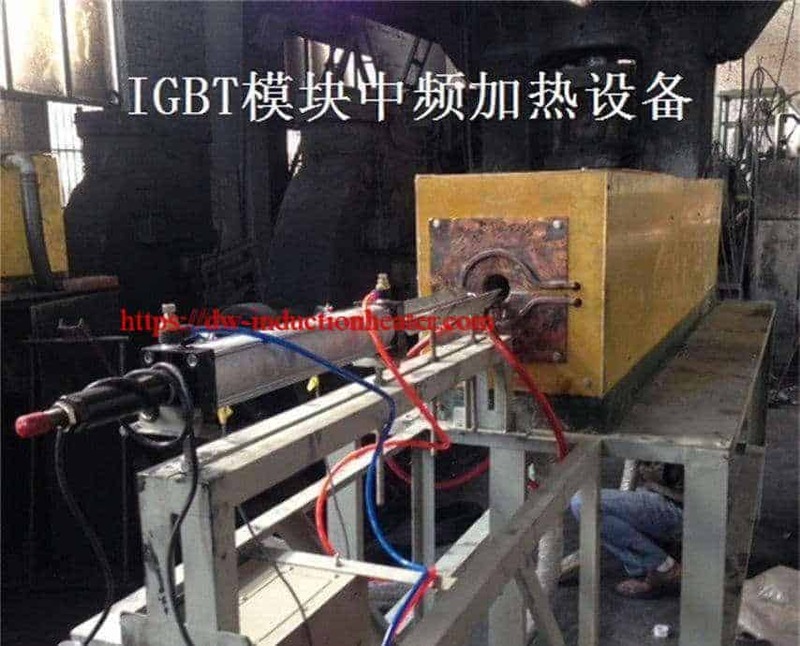 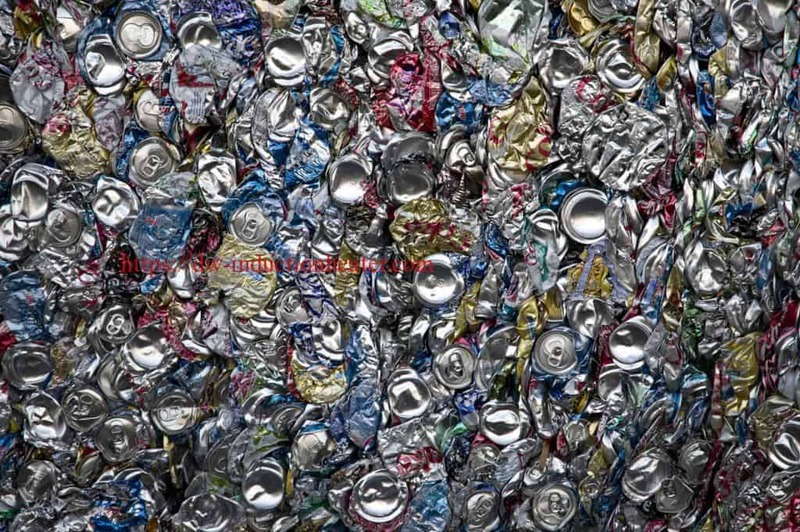 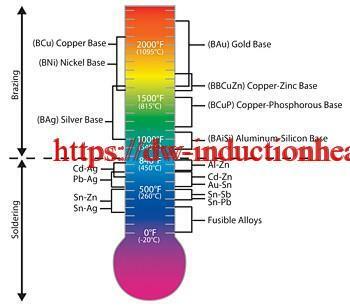 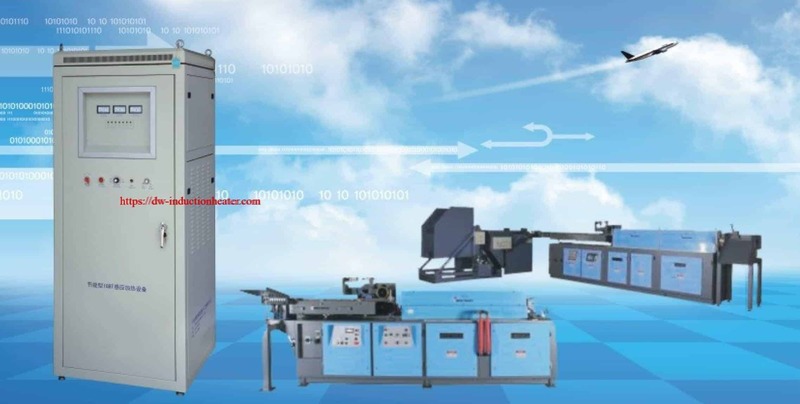 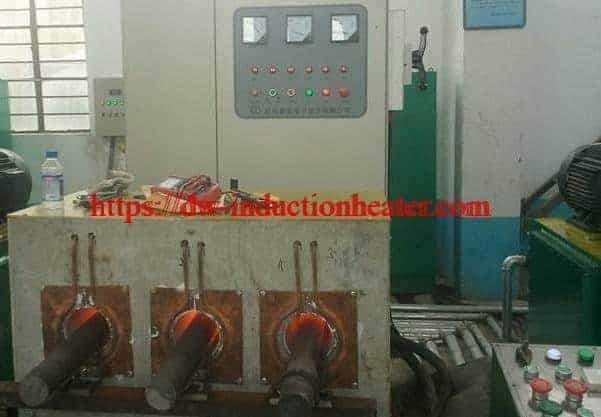 Temperature 500ºF (260ºC), if higher temperatures are required, heat time can be increased. 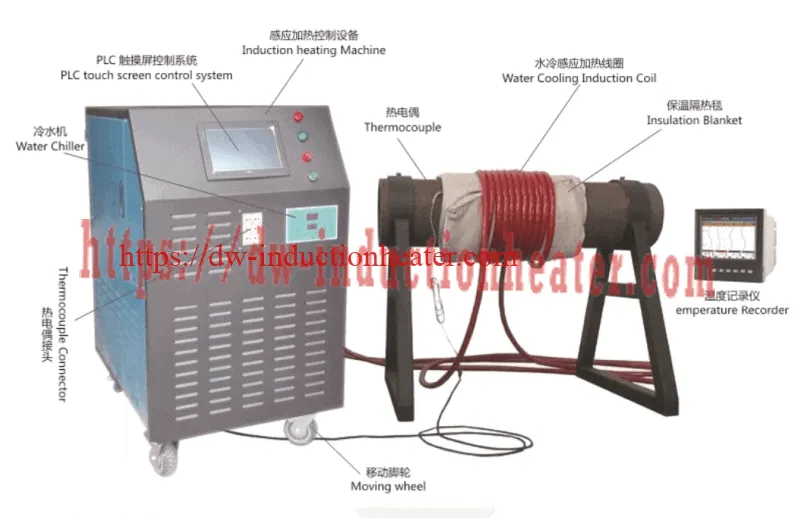 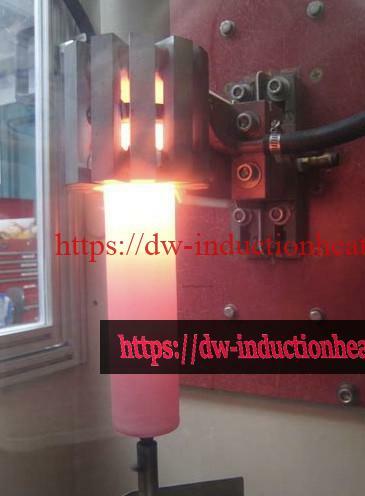 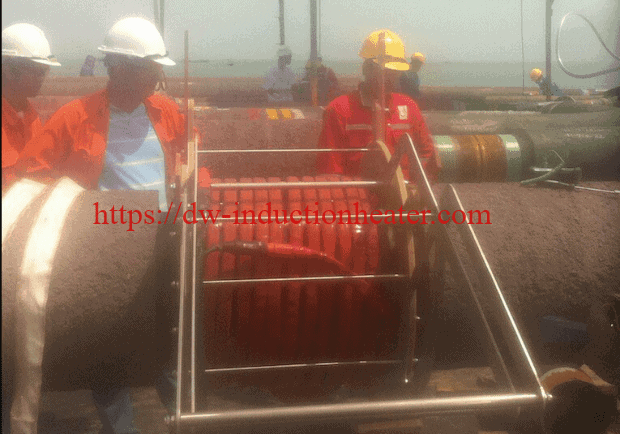 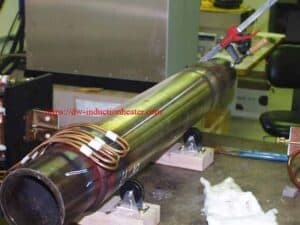 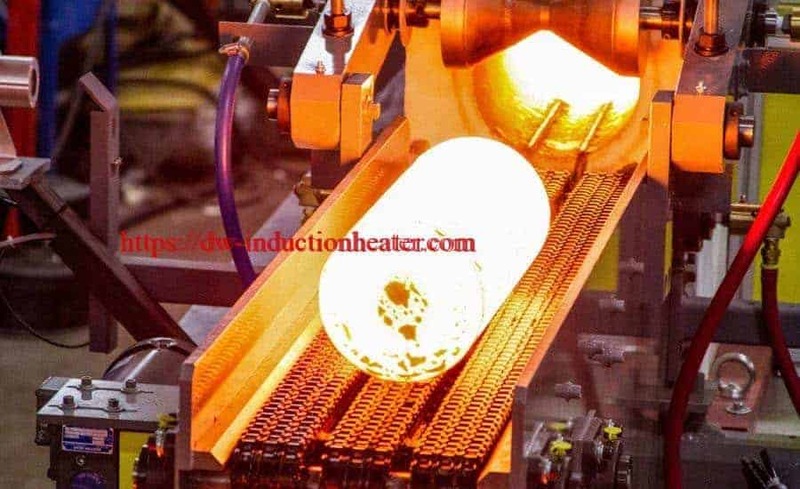 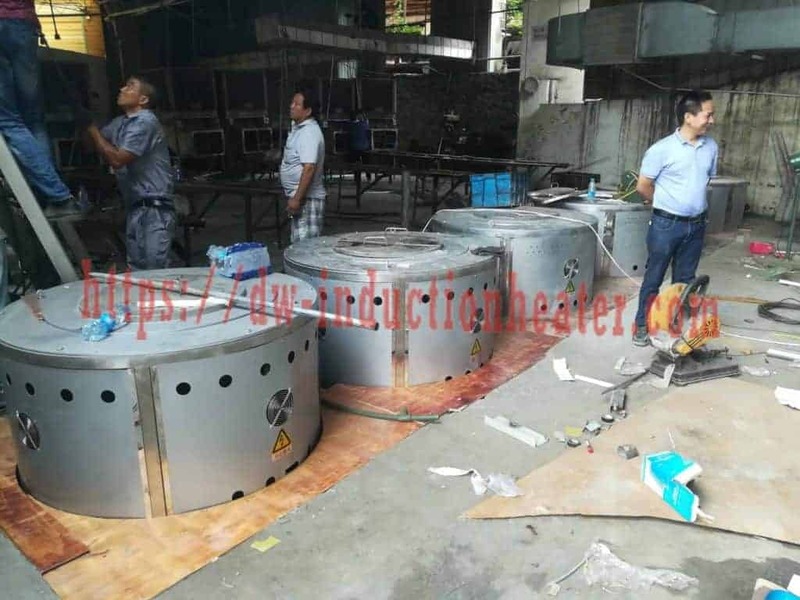 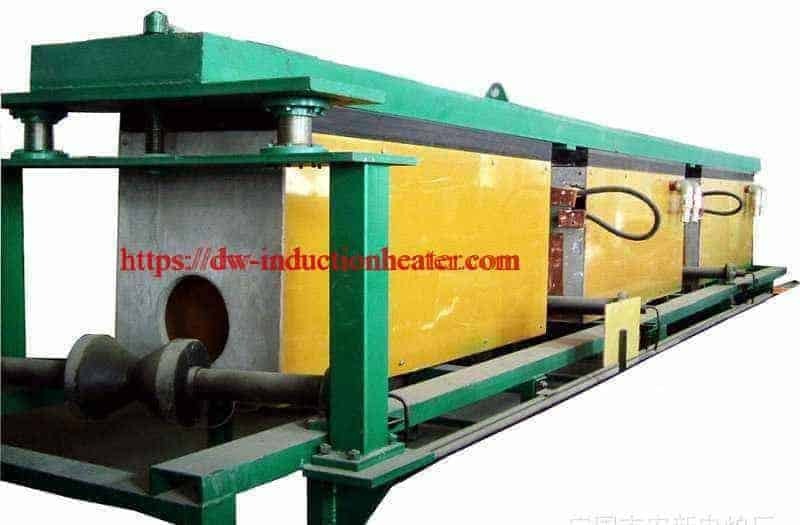 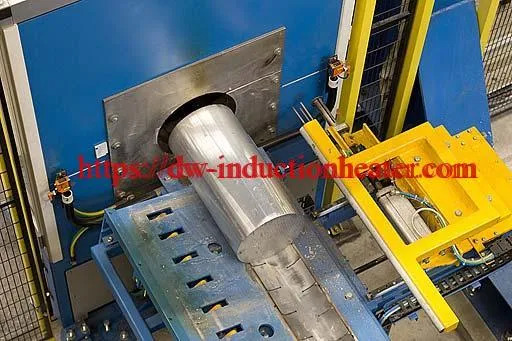 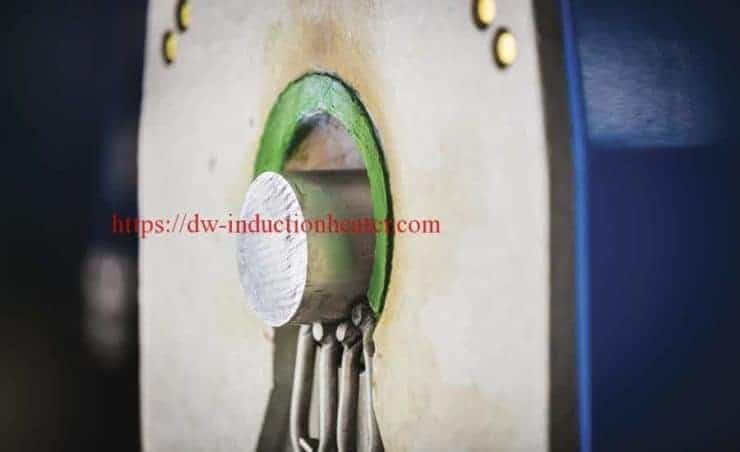 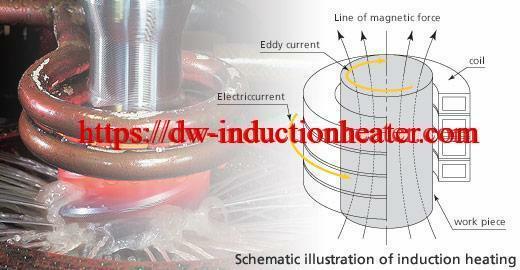 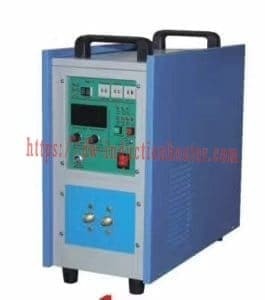 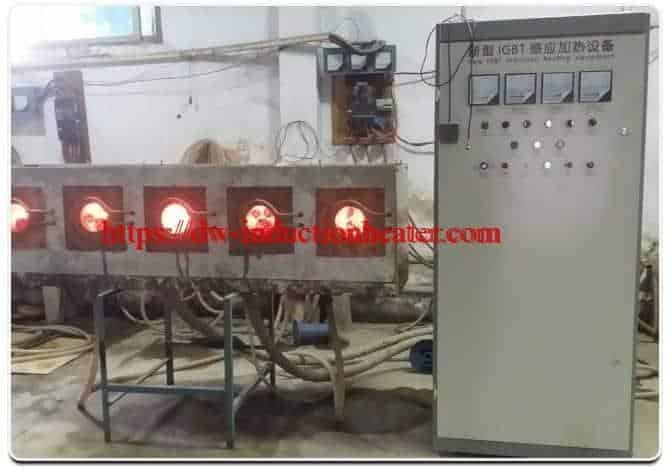 Equipment • DW-HF-60kW induction heating system, equipped with a remote workhead containing eight 1.0 μF capacitors for a total of 8 μF. 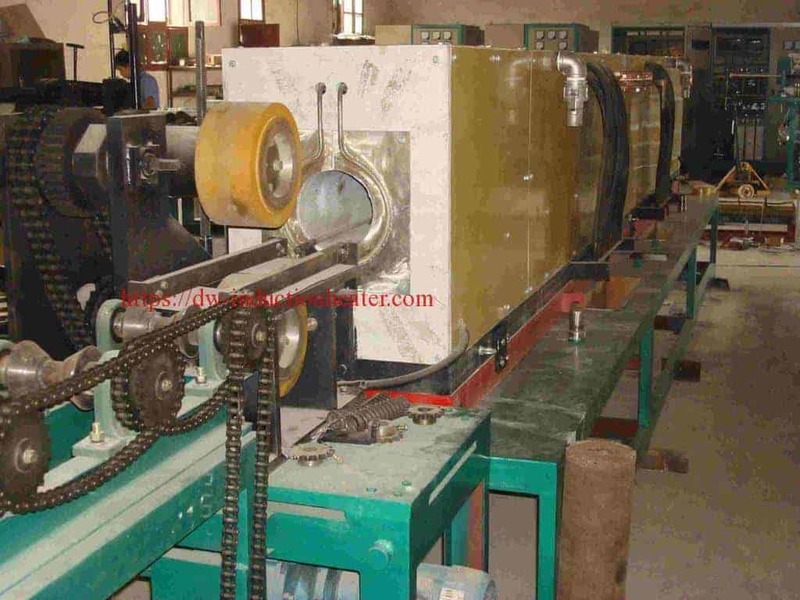 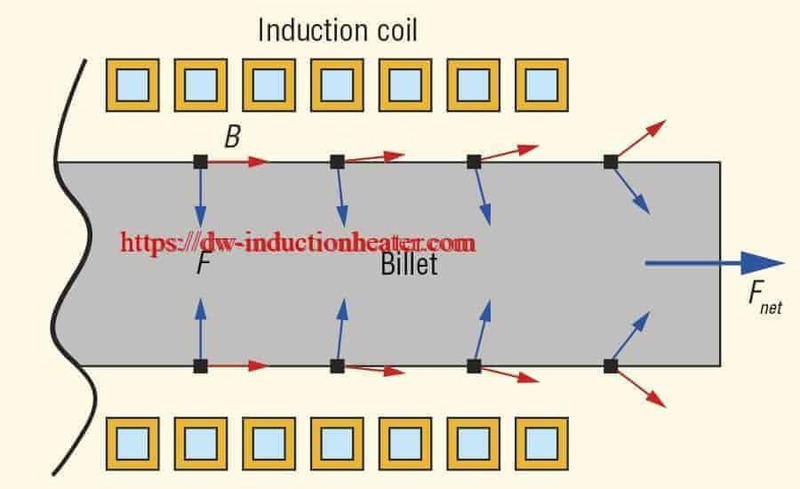 Process A multi-turn two position channel “C” coil, adjustable on a busbar is used to heat the desired heat zone. 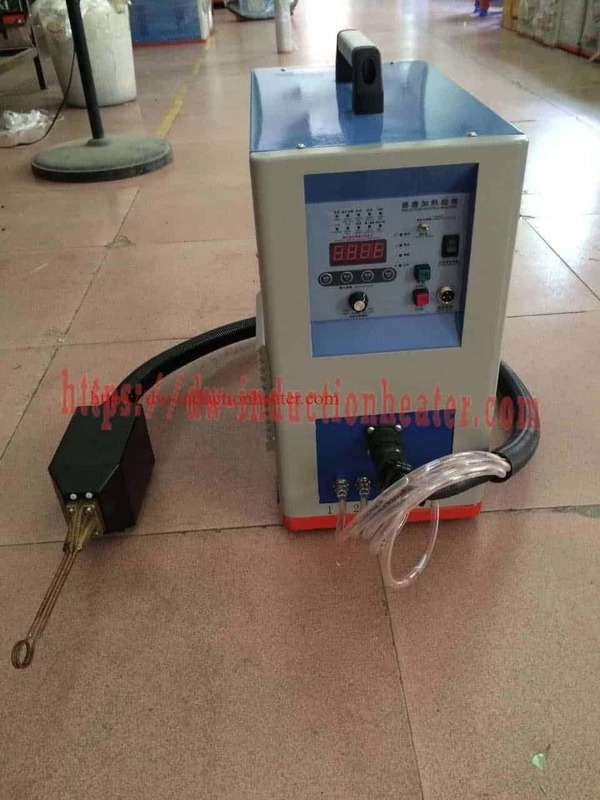 The coil is adjustable to fit various diameter pipes. 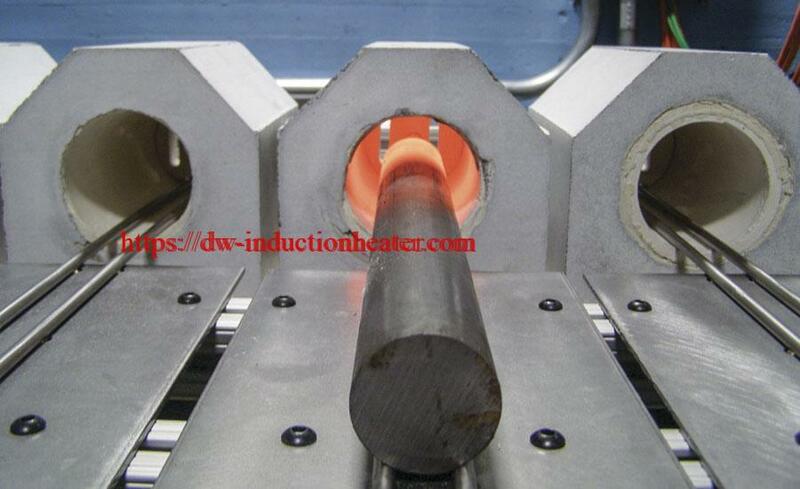 The shaft is rotated in a fixture and heated for 3 minutes to achieve a temperature of 500ºF (260ºC). 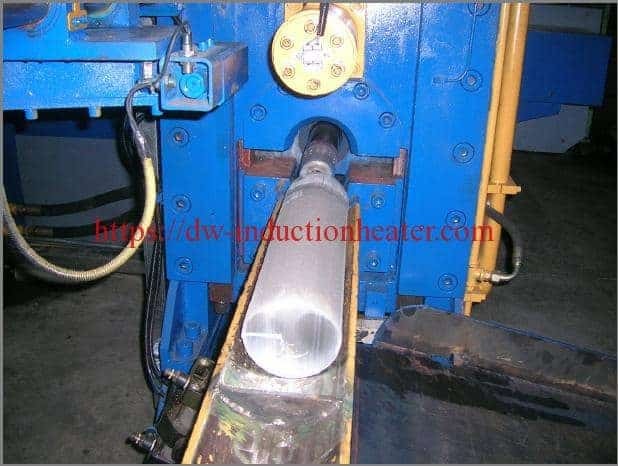 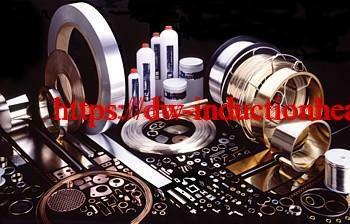 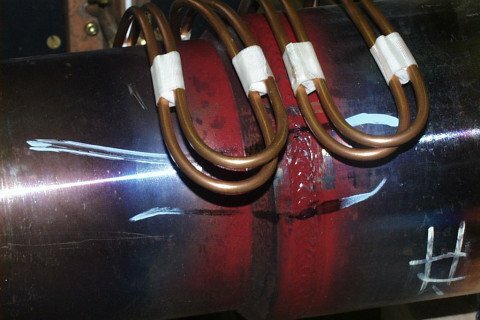 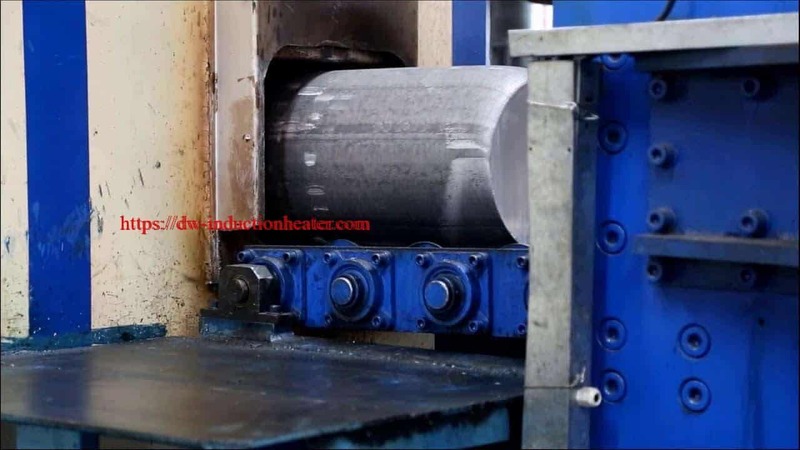 • Preheating prevents shock to shaft which eliminates cracking in the welding phase. • Hands-free heating that involves no operator skill for manufacturing. 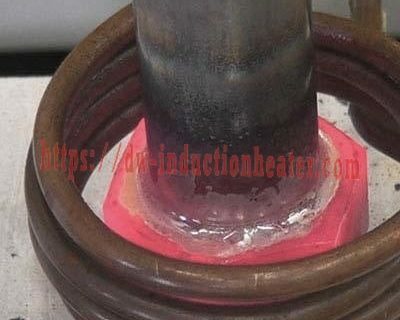 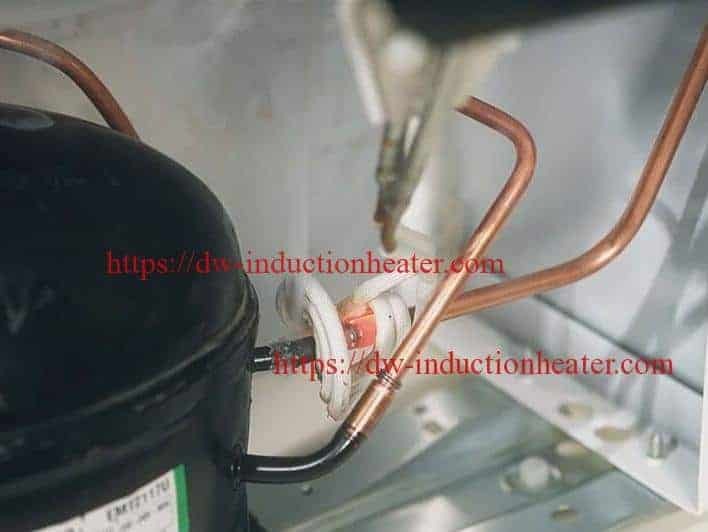 • Even distribution of heating between the shank and the sleeve.